A smooth body style, curly tail, and natural-swimming legs converge to make LizardZ as enticing as they are versatile. 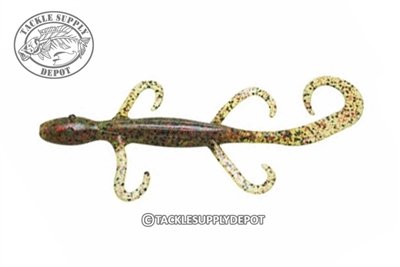 These super-durable, salt-impregnated, buoyant lizards excelled when rigged Texas or Carolina style. DISCLAIMER Do Not mix ElaZtech baits with standard plastic baits.